The rainforest holds many natural-medicine secrets still to be uncovered. One of the secrets that HAS been discovered, however, is a well-known tribal Peruvian cure-all that has been used for nearly 2,000 years. Cat's claw (Uña de Gato in Spanish) is a thorny vine that can grow up to 100 feet in the tropical regions of South and Central America. Its name comes from the rounded thorns that look like cat's claws that grow on the vine. Two species, Uncaria tomentosa and Uncaria guianensis, are used for medicine. Uncaria tomentosa is most commonly used in the US, and Uncaria guianensis in Europe. Medicine is made from the root and bark. The Asháninka tribe of Peru has the longest recorded history of using this herb. In fact, today, they are also the largest commercial source of the herb in Peru. The Asháninka use cat's claw to treat asthma and inflammations of the urinary tract; to recover from childbirth; as a kidney cleanser; to cure deep wounds; for arthritis, rheumatism, and bone pain; to control inflammation and gastric ulcers; for cancer; and to support cellular health. Other indigenous tribes use Cat's Claw as well. The Cashibo tribe of eastern Peru believes that Cat's Claw normalizes the body and have used it since ancient times to cleanse the system. Other documented indigenous uses in Peru include using Uncaria for irregularity of the menstrual cycle and for blood cleansing (this is why you will find cat's claw bark in Jon Barron's Blood Support formula). While the herb is used for a variety of medicinal uses by Peruvian tribes, most herbalists in the US and Europe use it for its anti-inflammatory and antioxidant properties. Cat's claw helps protect joint cartilage and has displayed efficacy in relieving joint pain, indicating it may be helpful for people suffering from arthritis. Because cat’s claw helps reduce inflammation, it is considered helpful in treating rheumatoid arthritis. One small study of people who were already taking medications to treat rheumatoid arthritis found that those who also took cat's claw had fewer painful, swollen joints than those who took a placebo. In addition to helping treat arthritis, according to WebMD, some people use cat's claw for viral infections including shingles, cold sores, and AIDS. And in review, cat's claw is used for chronic fatigue syndrome, wound healing, parasites, Alzheimer's disease, asthma, hay fever, cancer (especially urinary tract cancer), a particular type of brain cancer called glioblastoma (you know, the cancer associated with cell phones), gonorrhea, dysentery, birth control, bone pains, and cleansing the kidneys. The modern day popularity of cat’s claw began during the 1970s after an Austrian investigator, Klaus Keplinger, traveled to the rainforests of Peru. He learned about the vine from the healer-priests of the Asháninka. He sought and eventually received patents in the US for isolating the active ingredients from the plant. The herb became so popular that in 1997 it was ranked as the seventh most popular herb in U.S. sales. This popularity led to the root of the plant becoming over-harvested. As a result, the Peruvian government now forbids harvesting the roots of the plant. However, the same compounds found in the root are also present in the bark, so today the plant is now harvested three feet above the ground. This preserves the plant so that it can be harvested again a few years later. Cat's Claw can often be found combined with other immune boosting herbs with similar healing properties such as Echinacea. The most common forms used today are cat's claw capsules and tablets, which have become widely available. 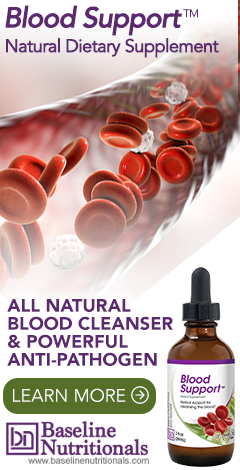 For more natural blood cleansing herbs, click here.